Imagine having a fantastic Deep Tissue Sports massage therapist visit you in the comfort of your own home! This is an amazing luxury gift, at a fantastic price! THIS EXPERIENCE TAKES PLACE AT HOME. Imagine having a fantastic Deep Tissue Sports Massage therapist visit you in the comfort of your own home! This is an amazing luxury gift, at a fantastic price! Imagine being pampered and relaxed for an entire hour of bliss by an experienced, trained professional! Massage is a well known therapy for the relief of musculoskeletal pain, and is widely used as a powerful tool in the treatment of stress related conditions. A good massage is a fantastic way to relieve pain and stress and to promote relaxation, better sleeping patterns, and has great overall benefits to your wellbeing. When muscles and tendons become damaged or impaired, knotted and tense or immobile, deep tissue sports massage treats the whole body and traces the discomfort as far as possible back to the original cause, healing both the cause and symptoms of the disorder. 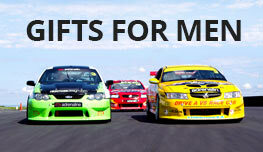 Adrenalin once again has proved to be a website and service that is a fun way to do gift giving in our family. There really is something for everyone! The time I opted for the 'unwind-type-gift' (in home massages... x3!) because I'd had a massive year and needed to relax! Now I date a kiwi guy and his dream is to climb the Harbour bridge.. Next time I'll have to increase my adventure and do this! 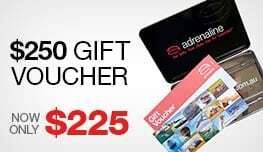 Thanks so much adrenalin for your consistently great service, a wide range of adventures and gifts to choose from from trusted providers. Cheers to more of that! Excellent massage, will visit again. the massage was very good and very enjoyed by the person i bought it for. we will use the masseuse again.